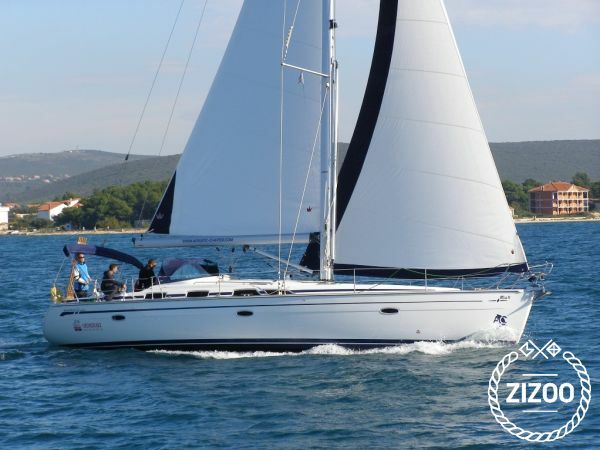 Mia II is an elegant Bavaria 47, built in 2009 and cared for with much love, just as all boats in the Adriatic Charter. She will look after you and make you feel as comfortable as you do in your own home. She sleeps 10 - 3 double, 1 bunk cabin plus 2 in the saloon, leaving plenty of space for cooking and relaxing in the saloon while keeping company to your chef of the day. Large cockpit protected by bimini is perfect for enjoying a meal together. For a home-like atmosphere ashore, sail south of Sukosan to a little place called Drage, there's a fantastic pizza place right at the water front. Sip on a cold beer while waiting for your pizza baked in a wood burning brick oven, delivered with an ear to ear smile. This is one you will be recommending, trust us! Since now you need a nap, because you couldn't leave even a slice of that delicious pizza behind, find a comfy spot on the boat, and trust yourself into your skipper's experienced hands.